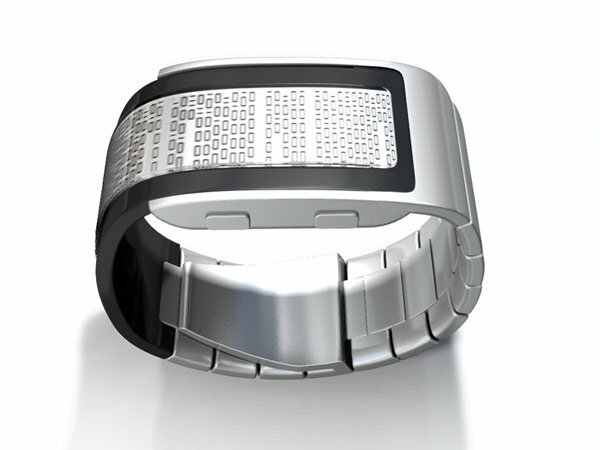 The guys over at Tokyoflash are at it again with their funky watch concepts, this one looks like it might be quite hard to read the time on, the Tokyoflash Binary Flow Watch Concept. 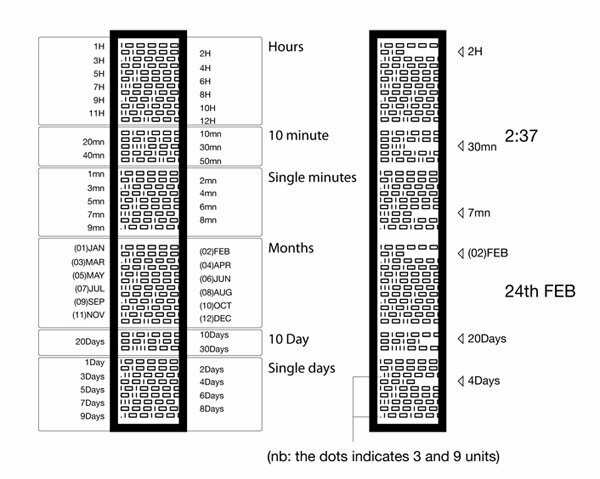 The Binary Flow watch concept displays a load of dots on the watch face, the hours are show in groups of ten minutes and single minutes are shown in three sections, each line shows an hour, a group of ten minutes or single minutes. Confused? check out the picture below which explains how it works, to be honest I still cant work it out after looking at this picture. 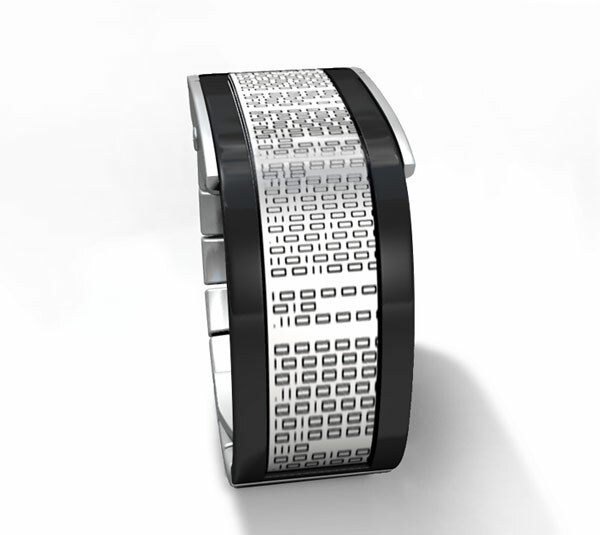 The Tokyoflash Binary Flow watch features an e-paper display, and a watch strap with a combination of rubber and steel. Luckily it is just in the concept stages, but knowing Tokyflash we will probably see this watch go into production in the future.